A company in the Purdue Research Park is collaborating with university researchers and St. Jude Children’s Hospital on improving the treatment of leukemia. Tymora Analytical Operations is working to pinpoint the proteins inside cells affected by the disease. Chief Technology Officer Anton Iliuk says doing so will improve treatment options and make drug delivery more efficient. A $300,000 grant from the National Institutes of Health is funding the research. Iliuk says once the process is finalized, they hope to move onto clinical trials using samples from patients at St. Jude’s. A national business accelerator program includes a firm located in the Purdue Research Park. Spensa Technologies makes an automated insect monitoring system for commercial agriculture. Kim Nicholson, vice president of business development, says that allows producers to better manage pesticide use. It also is designed to cut labor costs, because the traps can send the information to a computer or mobile device with wireless technology. A small company in the Purdue Research Park is getting some big financial help. Medtric Biotech won a $150,000 grant from the National Science Foundation (NSF). It’s designed to help small businesses finish development and commercialize of their product. Medtric Biotech is working on a new type of antiseptic that targets bacteria which are antibiotic-resistant. President Sean Connell says their product would help patients being infected with potentially life-threatening bacteria. In the U.S. in 2010, crop growers lost $20-billion to insect damage and spent $4.5-billion on insecticides. A new product being developed by Purdue researchers is making pest management more efficient. 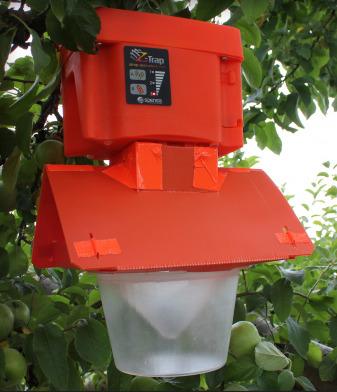 The “Z-Trap” is a pheromone-baited device that counts the number of target insects captured and relays that information to the farmer via wireless technology. This eliminates the labor intensive task of manually checking traps to monitor insect populations. It also helps growers better control crop damage caused by insects and improve the use of insecticides. A company located in the Purdue Research Park is earning national recognition. FoundOPS took first place in the first-ever Startup Bowl at the Powder Keg Conference in Indianapolis last week. The competition featured 12 companies from around the country who pitched their ideas before a panel of judges at Lucas Oil Stadium. FoundOPS was started by two Purdue students last year out of a room in their fraternity house.